Coffee in an ice cream cone? It exists, in Tokyo! Coffee has been fancied up in a number of ways over recent years. Whether it's intricate latte art, or a cute mug it's served in, cafes seem to be going all out in the effort to have the most aesthetically pleasing brew. Tokyo (and Japan overall) always seem to have have an edge when it comes to food and drinks that delight the senses - you only have to look at how many Michelin Star restaurants and quality eateries there are all across this country. You'll definitely see a great deal of care taken with not just the taste of food and drinks, but their appearance too! 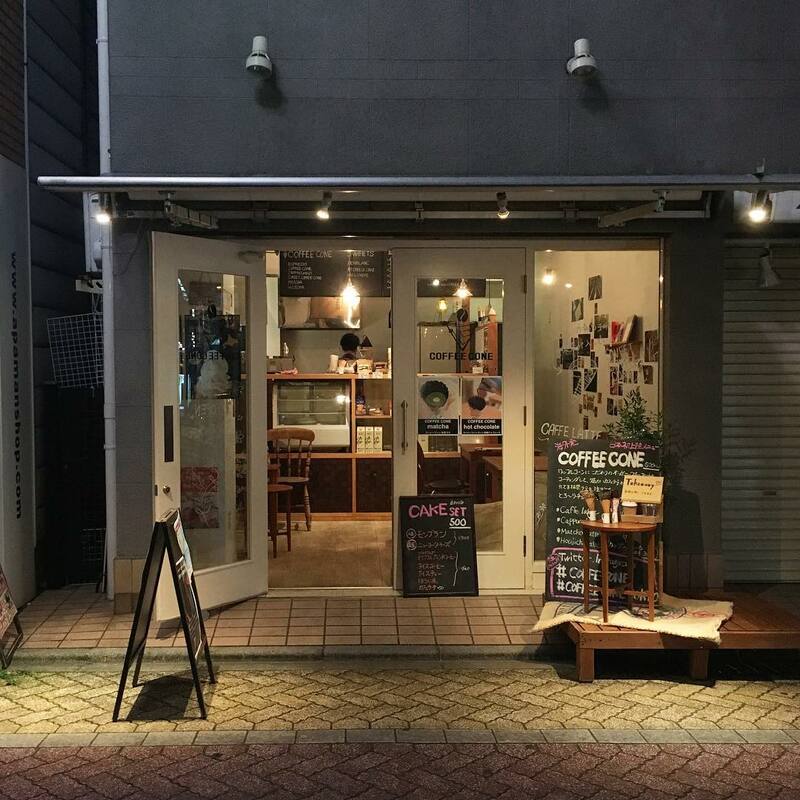 Enter Tokyo's most photogenic coffees - served at Coffee Cone, in Koenji! Coffee Cone is in a blink and you'll miss it store - but you won't want to walk past it! 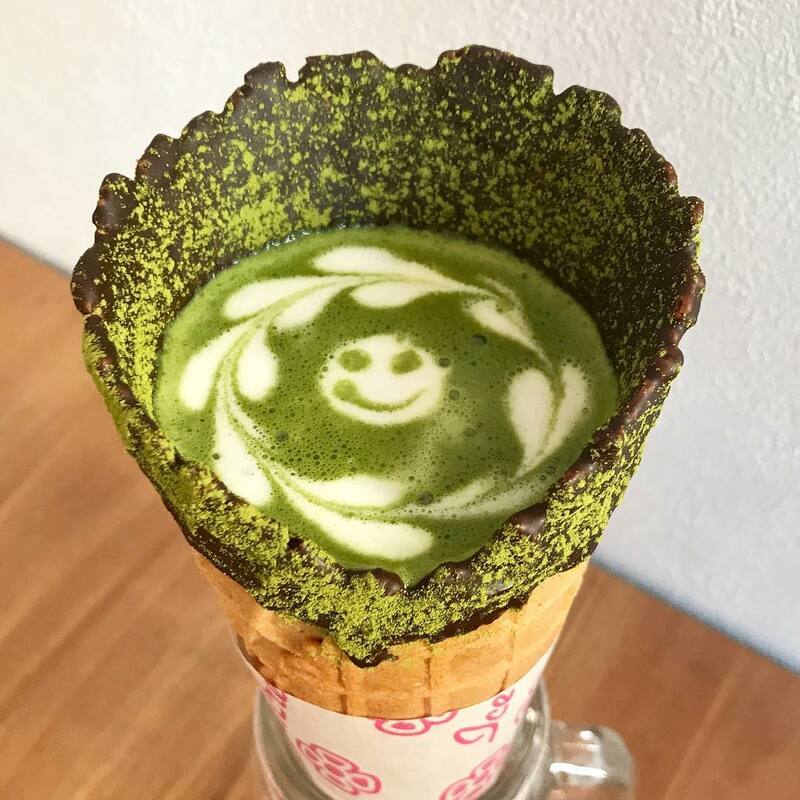 They serve up your coffee or matcha in a cone of your choice (sprinkled are my favorite!) and sit it in a mug - just in case it drips anywhere. As long as you enjoy the coffee within about 10-15 minutes you tend to be okay, but I wouldn't want to risk it any longer than that or the cone would end up soggy and start falling apart. Once you've enjoyed your coffee you can then eat the cone at your leisure! These would have to be the happiest coffees on the planet, I'd venture to say! 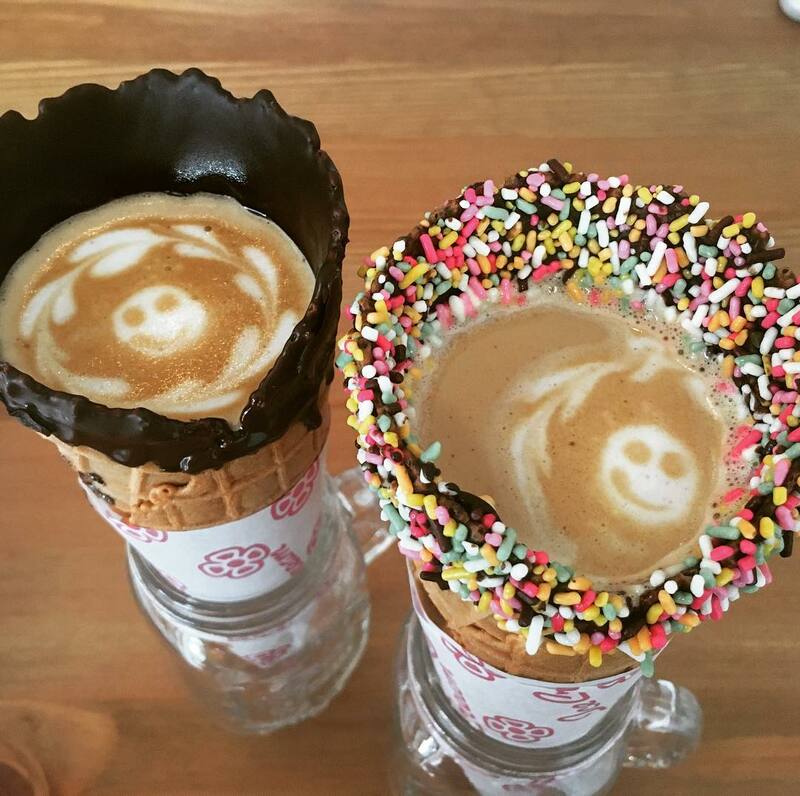 As well as creating the cutest coffees ever, Coffee Cone also offers soft serve ice cream in those cones, if you would rather a sweet treat to cool down with. 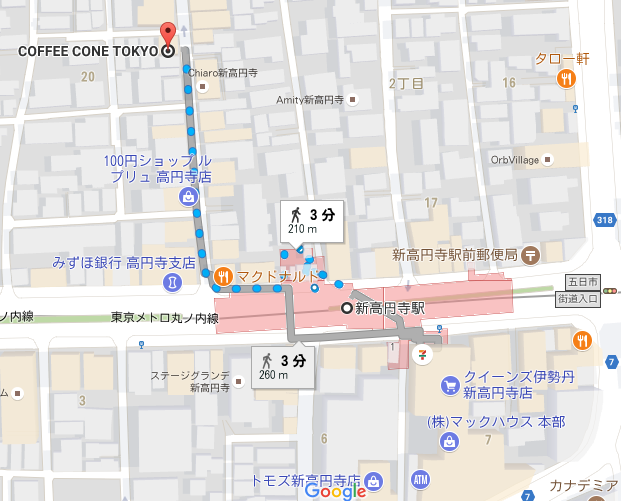 You can find Coffee Cone at 3-20-15 Takoji Nami Suginami-ku, Tokyo 166-0003 - just a few minutes walk from the Shin-Koenji Station on the Tokyo Metro Marunouchi Line. The entire Koenji area is a really fun part of Tokyo to enjoy, with loads of vintage stores and cute cafes - so it might be worthwhile making a day of it. Getting there is easy - just a few minutes walk from the Shin-Koenji Station! Enjoy Tokyo - and your coffee, too! Make your customized ice cream here in Tokyo! A Japanese version of an ice cream sandwich? Check it out at Melon Pan Ice!